You can’t sleep, or you can’t get out of bed in the morning. You are avoiding social situations because being in public puts you on edge and you feel out of control. You always expect the worst possible outcome or are hopeless and helpless about ever feeling normal again. You know the “right” solution to feeling this way, but it’s a lot of work. When you’re already feeling depressed or overly anxious, the idea of making an appointment and waiting for the first available spot, then admitting to someone else how you’re feeling, and waiting for any of their solutions to start actually making a difference in your life just seems unbearable. It isn’t hard to imagine why people who have been through extreme trauma, or who are suffering from severe anxiety and depression look for faster alternatives. You want the discomfort to go away right now, you want to numb yourself to this hell you’re living in, and there are only a few things immediately available to you that can give you that – temporarily, anyway. You’ll take temporary because you need relief. You just want to feel normal again, or at least be able to get through your daily activities without imploding. Five minutes would offer some respite. At this point, you don’t care. You think you’ll do it this once to get through the day. People suffering from PTSD are 2-4 times more likely to develop addictions than the rest of the population. That means that you, in particular, are at exceptionally high risk. Knowing that can help you make the right decision in the end, but for some, it may not be enough. Some people who self-medicate on occasion may be able to stop once they start reaping the benefits of their prescribed treatment(s), but the fact is that many will start thinking it will be just this once. Then, because it helped them sleep or deal with an outing with friends, they start doing it more often, but only in those situations when they absolutely need to. Before you know it, you’ve altered your brain chemistry to the point that you now need this self-medication more frequently just to feel better. Then you need more of it more regularly. You’ve jumped down the rabbit hole and no longer see a way of surviving without the help of your chemical friends. It’s the same story for everybody who has ever developed an addiction. Nobody starts out thinking they want to become an addict and potentially ruin their lives. Depending on the route you take, it can be a long journey before you get to addiction, and because it happens so gradually, it makes it harder to realize what is happening over time. You think you have it under control because you don’t do it daily. That becomes you thinking you don’t have a problem because you can still hold down a job and pay your bills. That becomes you not being able to handle day to day activities, which increases your stress or depression, further increasing your need for the substance. Drugs that help to numb your central nervous system, like alcohol, marijuana, benzodiazepines, and opiates work by stimulating your gamma-aminobutyric acid (GABA) levels, which are often lowered when you are stressed. They increase your feel-good chemicals, like dopamine, and reduce the effects of your normal anxiety driven adrenaline. The problem, though, is that after they stop working you are often faced with even lower levels of your normal feel-good chemicals and hormones. Your body stops being able to regulate your levels effectively because you have introduced an outsider. Tobacco – affecting over 40M people, it is legal, extremely available, less expensive than other options, and any symptoms or health consequences take a long time to appear. 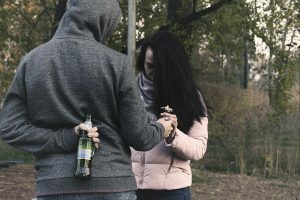 Alcohol – claiming about 18M people, it is also legal and highly available, socially acceptable, and when you start needing more there are always cheaper options of your preferred poison. Painkillers – in an attempt to treat their pain, many people start taking drugs like codeine, Oxycontin, or Vicodin, but slowly, over time find themselves addicted and unable to function without them. These prescribed drugs account for up to 1.8M addicts annually. Cocaine – For all versions, there are about 821,000 people who suffer from addiction, but it increasingly leans toward the stronger and more addictive form of crack. Heroin – Up to 426K people suffer from this addiction each year, and it often begins as an addiction to prescription painkillers that grows to the point that the addict needs more and moves up to a heroin addiction. Benzodiazepines – approximately 400,000 people suffer from addiction to these drugs, which are better known as Valium, Xanax, Diazepam and Klonopin. Stimulants – such as those used to treat ADHD or meth, are highly addictive and account for about 329,000 addictions. Inhalents – while perhaps not as socially accepted, they are definitely available to the general public in the form of household cleaning products and gasoline. They claim around 140,000 addicts. Sedatives – these barbituates are extremely easy to get prescriptions for if you have sleeping problems or tension, and account for about 78,000 addictions annually. While their risk is perhaps lower, they can make an addict unable to sleep or relax without their use. While substances are often abused in an effort to relieve some of the side effects of PTSD, others choose different addictions that seem less harmful but can have severe impacts on your life. Some may turn to distractive behaviors, such as gambling or gaming to help keep their minds off of troubling thoughts. They can lose themselves for long periods of time, getting the adrenaline surge they are accustomed to from high stakes games or highly competitive play, taking away any thoughts of the traumatic events that have been impacting their lives. 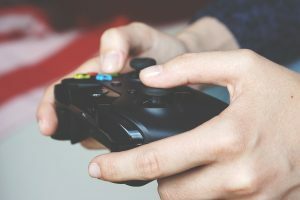 To a certain extent these might be helpful, but, just as with substances used to avoid their symptoms, these games can often turn into addictions that not only affect family life because of the number of hours the addict spends on these activities, but can also lead to financial issues. Dealing with two, or multiple, issues just creates more problems you have to deal with in recovery. Addictions can take a number of forms besides those listed here, such as sexual addictions or hoarding. If you, or someone you know, seems to be going down that slippery path of addiction, get them help before their list of problems becomes a hill that seems insurmountable.